It’s an exciting time to be a UX designer. The industry continues to grow, and the average user experience designer salary in the US is currently in the region of $90k. These are just some of the many upsides of a career in UX — but what about the not-so-great parts? Here are five of the most common challenges you’ll face as a UX designer, and how you can overcome them. One of the most common challenges you’ll face as a UX designer is a lack of understanding about what you do. The multidisciplinary nature of UX is often underestimated; for many people, the term user experience design is synonymous with just “making things look good.” At the same time, you might find that the business value of UX is overlooked. While you and your UX friends know there’s more to it than sketching wireframes, if key stakeholders don’t fully understand what you’re there to do, it can become problematic. UX design is a highly collaborative role, requiring buy-in from pretty much everyone in the business. You need to meet with company executives to understand their vision, and you may rely on the customer service team for valuable user insights. If it’s unclear as to what you do and why it’s important, it can be difficult to engage the right people. Imagine a scenario where you’re brought on board to design an app. The company already knows who their users are and what they want; all you need to do is take care of the design. However, during the research phase, you uncover new insights about the user. You now need to take the project in a completely different direction — and you need to convince the CEO and other stakeholders that it’s absolutely necessary. If they were simply expecting you to whip up some prototypes, they may not respond well to this revelation. As a UX designer, it’s important to set expectations very early on. Start each new project with a stakeholder kick-off, explaining what you’ll be doing and why. As you move through the project, provide regular updates and opportunities for your colleagues to ask questions. Most importantly, resist the urge to guard your work. Invite others to learn about what you do — be it through an informal chat at your desk or a lunchtime workshop. By fostering an “open door” culture, you can start to dispel misconceptions about your role. At least once in your UX career, you’ll find yourself short on time and money for conducting user research. Your client or manager might even ask you to skip the research phase altogether. It’s a common conundrum. The decision-makers are convinced they know all there is to know about their customers. With limited resources, it surely makes sense to start designing right away. 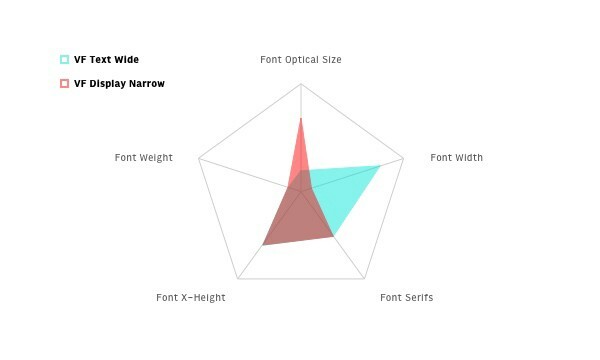 As a UX designer, however, you know the opposite to be true. User research is crucial for validating or busting these very assumptions and making sure you’re solving a real user problem. In an ideal world, you’d approach the CEO and convince them that user research is worth the time and money. Skipping user research has been known to cost companies millions, after all. But, in reality, it’s not always that simple. Their budgets are set and their minds are made up — so what can you do? Bypassing the initial user research phase is not an option, so you’ll need to find a workaround. 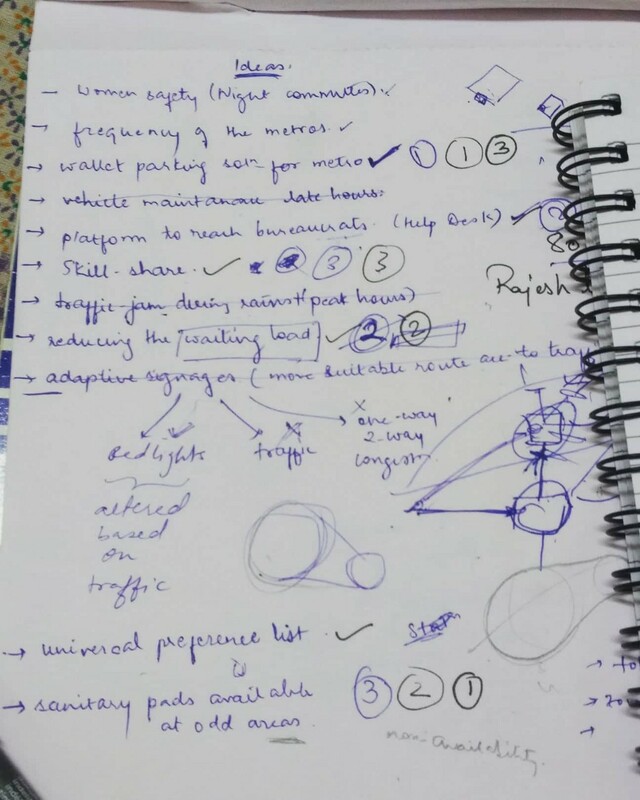 Fortunately, this is a path that many UX designers have trodden before, and there are plenty of tried-and-tested methods for conducting quick yet effective research on a budget. Focus on pooling the resources you’ve got and streamlining the process as much as possible. If you need to recruit participants for user interviews, for example, put the word out on social media and conduct interviews over the phone rather than in person. Another increasingly popular technique is guerrilla research, which can be used to scale down almost any research method. When faced with time and budget constraints, it’s important to remember that some research is better than none — even if it’s not as thorough as you’d like. As a UX designer, you are driven by curiosity and a burning desire to solve problems. The more insights you uncover, the more problems you’ll identify — and the harder it becomes to settle on just one. It’s inevitable that you’ll uncover new pain-points along the way, but you can’t change tack every time this occurs. The challenge lies in staying focused, and your problem statement will help you. In the words of Don Norman, a brilliant solution to the wrong problem can be worse than no solution at all. Good designers never start by trying to solve the problem given to them: they start by trying to understand what the real issues are. 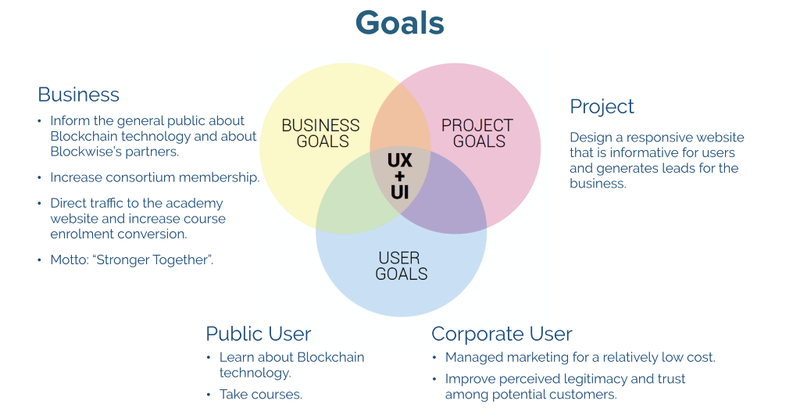 Right at the start of any UX project, take the time to define your problem statement. A good problem statement focuses on the user and their needs (avoid using “we” when framing your problem), and addresses just one or two of those needs. Setting a manageable problem statement will help keep your wandering eye in check when you discover shiny new problems along the way. If you do find yourself distracted, your problem statement is there to keep you on track. Stick it on the wall above your desk and refer back to it whenever you need to regain focus. Designers and developers have very different yet equally important roles to play in the product development process. It’s often said that without development, design is useless, and without design, development is unusable. Collaboration between the two is paramount, but it sometimes feels like you’re speaking different languages. One area that can be especially challenging is the design to development handoff. As a UX designer, your approach to solving problems is different to that of your developer colleagues. While you’re thinking about the user and the journey they will take through the product, the developers are concerned with what’s technically feasible. When designers and developers aren’t aligned, both the process and the product suffer. Lack of communication and knowledge gaps tend to be the main culprits, resulting in excessive (and redundant) feedback loops, different interpretations of the same objectives, and unexpected quality assurance issues. The best way to avoid discord between design and development is to communicate early and often. Involve the developers as soon as possible; this way, they’ll be able to identify any potential issues long before the handoff. Knowledge sharing is also key; while you don’t necessarily need to learn how to code, it’s worth taking the time to understand how the developers work and the challenges they face. Tools like Zeplin, InVision, and Avocode have also been designed to ease the handoff process. Another challenge that UX designers grapple with is the seemingly never-ending list of UX job titles. User experience design is such a broad field; over time, the UX designer role has branched off into many different areas of specialization. Companies are increasingly hiring specialists to focus on certain aspects of UX — such as information architects, UX researchers, UX writers, and usability analysts. 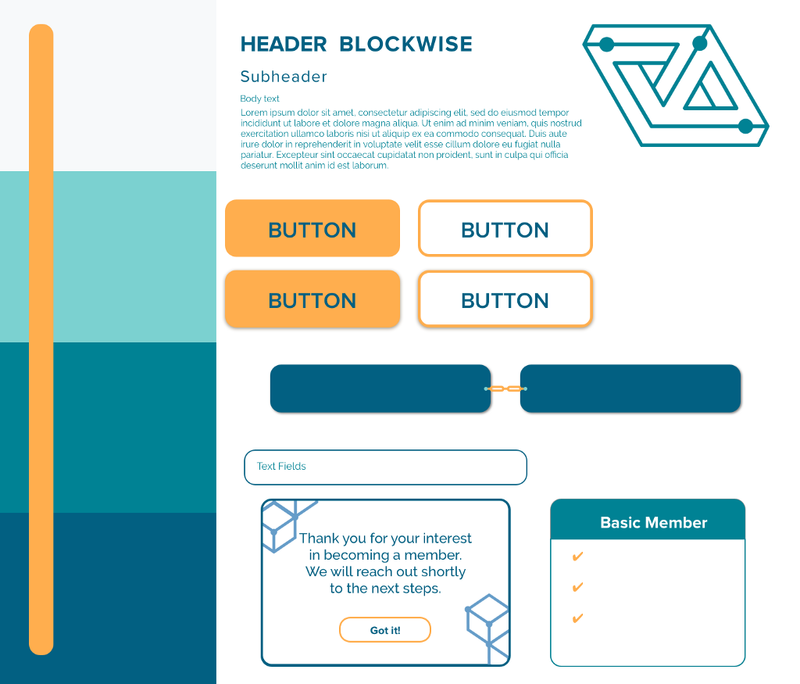 Even when considering the general UX designer job title, there are some potentially confusing new terms to contend with — like the increasingly popular full-stack designer. Positioning yourself within the industry can, therefore, be tricky. First, there’s the question of whether to specialize or generalize, but this isn’t something you need to decide right away. Then there’s the challenge of inconsistent labels, titles, and terminology surrounding the UX job market. Whether you’re deciding on your next career move or trying to define your role within your current company, it’s important to stay informed. Browse job sites like Indeed for an idea of the kinds of UX roles that companies are currently hiring for. If you search for user experience designer roles in the US, for example, you’ll also see positions such as user experience researcher, UI/UX designer and developer, product owner, and brand designer. As you research, you’ll start to get a feel for the skills and responsibilities associated with different job titles. This will help you when it comes to marketing yourself as a UX professional and building your personal brand. 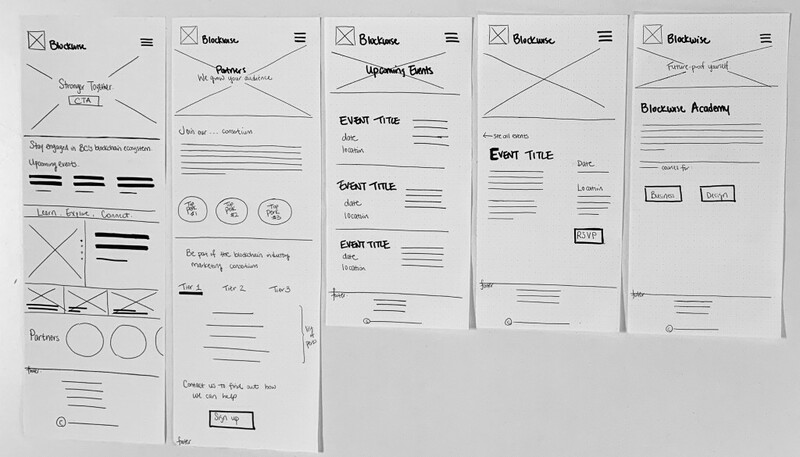 So there you have it: Five common UX challenges and how to overcome them. Now you’re aware of these hurdles, you’ll be able to identify them as soon as they arise — and take appropriate action! You can learn more about the specifics of working in UX in this day-in-the-life account. Emily Stevens. Originally from England, Emily moved to Berlin after studying French and German at university. When she’s not writing for CareerFoundry, she can be found travelling, hula-hooping or reading a good book. 5 Common Challenges UX Designers Face — And How To Overcome Them was originally published in UX Planet on Medium, where people are continuing the conversation by highlighting and responding to this story. Let’s start with an impressive number: You only need to speak to 5 users to determine all of your product’s problems. Father of usability Jakob Nielsen found that only 15 user interviews are required, but to better distribute your budget, he recommends holding three study sessions with each of those five users. The user interview is the type of research organized during any development stage to better understand user wants and needs and consequently — create a better product. 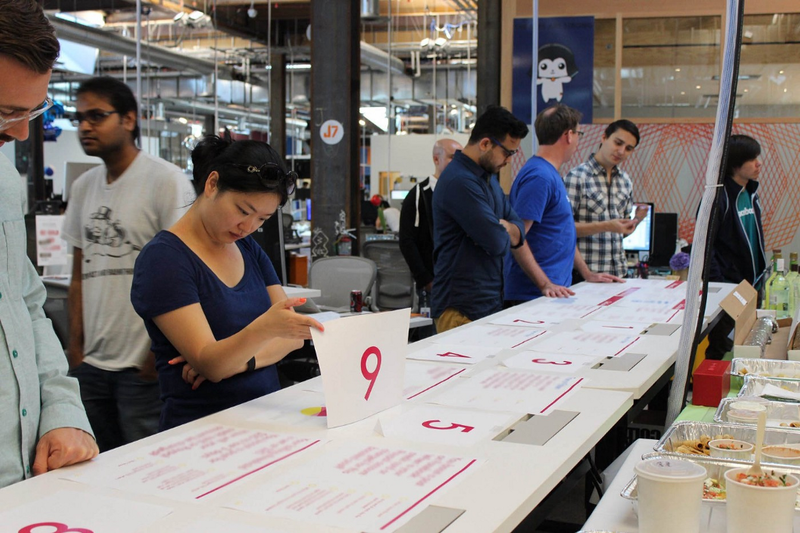 Often, a user interview can be conducted both by a product manager and a designer. The difference is in the intention. While a usability person is concerned with how the user will work with the product, a product manager is seeking an answer to why the user would want the product. These questions are, of course, not mutually exclusive or repetitious. The task is simple: Sit a person in front of you, find a pen and a notebook (don’t forget the voice recorder to be sure), and begin. Well, not really. Without thorough preparation, picking the right questions, finding the people willing to spend their time chatting about something that matters to them less than to you, you’ll probably be returning to your team with empty hands and a mess of tangled thoughts. User researcher Steve Portigal in his book Interviewing Users: How to Uncover Compelling Insights notes that every expert needs a framework. Indeed, following a custom routine will make a newly introduced concept easier to apply. Here we will share the workflow of our AltexSoft experts. See how they mesh gears with your needs, preferences, or product type. Let’s go. If either you or your stakeholders keep chanting “We know our client already,” this section is for you. Of course, Google Analytics and similar tools give great quantitative data, but it will only tell that there is a problem — it won’t explain why this problem occurs or how to solve it. So, how do user interviews solve problems and what else do they do for the company? Remind stakeholders of the product development efforts. “We actually talked to a few older clients before spending thousands of dollars on the product redesign.” “We’ve previously wasted a lot of resources by skipping this phase.” Fight bias by providing a different perspective on the work done by the product management team. Be skeptical about unverified product ideas. “How do you know customers will agree to pay for this feature?” “Should we postpone our launch date for this?” “How many users mentioned that they needed this?” When there are no compelling answers, these ideas can be added to the backlog waiting for research and validation. 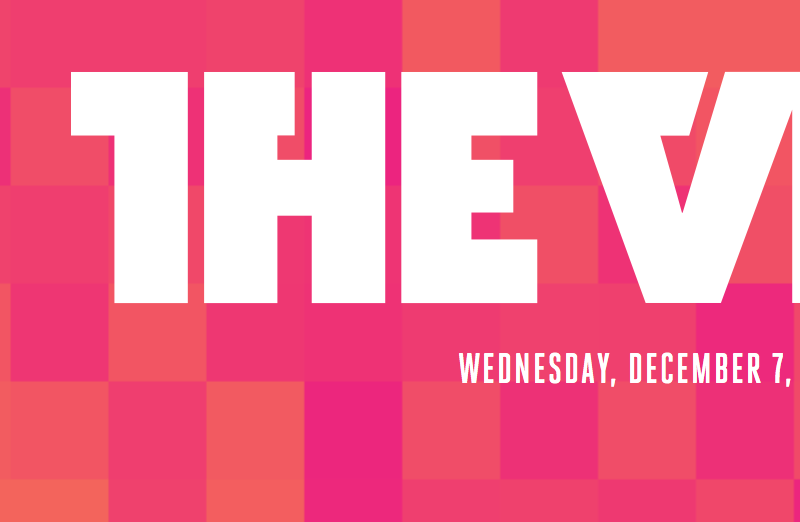 Celebrate discoveries from user interviews, surveys, and customer feedback. “How cool that we found this promising niche!” “We talked to the client and apparently they are ready to pay for a richer functionality.” “We think sales will be interested in hearing these insights.” Practical examples showcase that hours spent on interviewing users have been paid off. Basically, leadership bias collapses under the weight of hard evidence and perseverance. The simple idea of chatting with a (potential) client over a cup of coffee sounds difficult when you try to find a person to chat with. 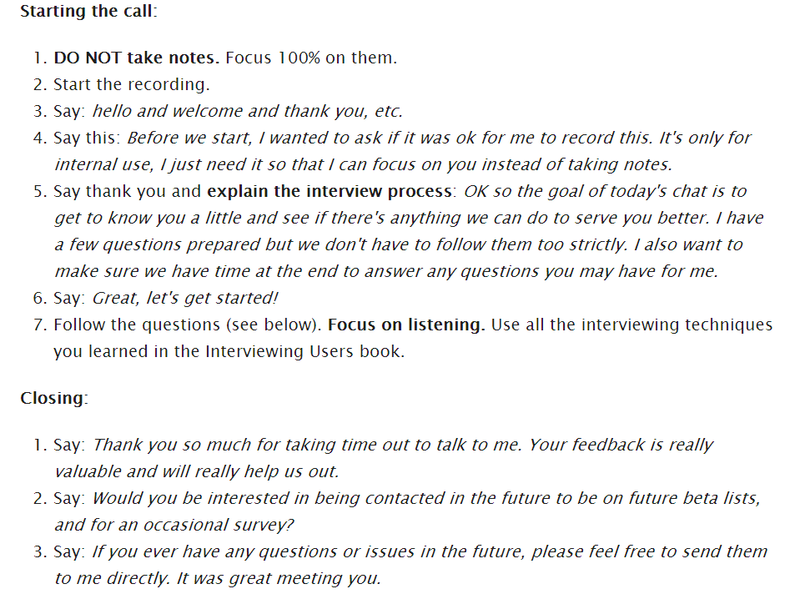 There are a few methods to obtain your interviewers. Sometimes it makes sense to try all sources. Personal connections. Our friends and family are often the first people we come to with questions. That’s of course when we’re talking about B2C products. Use social media to find users via “friends of friends” and widen the pool. Unfortunately, using this method you can’t accurately segment people by demographics, occupation, or a particular behavior. If you do decide to approach your parents with an interview, remember to plan it just as you would in a more professional setting, which we will discuss in the next step. Guerilla or street interview. One of the easiest research methods — talking to people on the street — is also the scariest one. People are rushing around involved in the business of their lives or taking a stroll, and each stranger addressing them can be a scammer. However, when you observe how people behave in natural circumstances — waiting for a bus, looking around a store, studying — you obtain information that often can’t be uncovered via conversation. For productivity software, watch out for students and freelancers in parks and libraries. If you want to create a backend app for taxi drivers, ask them how they wish their job would be easier. The key is catching respondents in between tasks, looking visibly bored, or like they’re just killing time. Remember that people are usually curious about research and finding out something new about themselves, so mention it right away. Old or current customers. Depending on the answers you’re looking for, use the database you already have and recruit people who have been using your product for years, or just heard of it, or even left your product for a competitor’s. Combine an email campaign with announcements on social media, in your forum or comment sections, incorporate sales and customer support people and offer solution architects to bring it up with clients on regular check-ins. Paid interviewees. If you have the budget, the fastest method to find targeted users is via paid opportunities. Dedicated sites like Respondent and User Interviews allow you to connect with highly targeted users and manage research activities for a service fee. A tool called Ethnio allows you to place a screener on your website or app that targets users in a particular region or with specific purchase history and send them a pop-up asking to take part in an interview. You can also find users independently and compensate them with a product discount or monetary. If we’re talking about B2B clients, Product Manager HQ recommends providing 1.5x what they make an hour for their time. For example, you want to interview accountants and the interview will take 30 minutes. You know that accountants make $35 an hour. In half an hour they will make $17.50. Offer 1.5x that and the appropriate compensation for them is $26.25, but round that up and offer $30 per person. At the start of the project. Before the idea has started accumulating investments and efforts, product management teams are interviewing potential users for their wants and needs. What problem do they have or is there a problem at all? Have they used solutions similar to the ones you’re planning to offer? Remember, that you shouldn’t ask users what they want from the final product — usually, people don’t know they need something until it’s there. This type of interview is for validating the solution (proving that the problem actually exists) and creating a persona. At the development stage. Here, you already have a sketch of a product to show clients, a prototype or an MVP, perhaps even an alpha version of the software. Does the current product have any value? Does the concept live up to their needs? At this interview, you show a product model and collect opinions. After the release. To see how users actually interact with a product, observe them in the right context, record their actions if needed, and ask follow-up questions. Here, we will list some general recommendations that would fit any interview style. An interview should be concise and carefully structured — your users wouldn’t want to answer your follow-up calls days after the session. That’s why you need to come prepared with a script. A field guide is your own set of instructions to help you carry out an interview smoothly and without omitting important details. If you’re conducting an interview with a partner (perhaps, a designer), you both will have different field guides. For your own convenience, write a field guide as detailed as possible — prepare the beginning and end of the conversation, give yourself tips and reminders. Edit the guide after every interview until you settle into a working, natural routine. 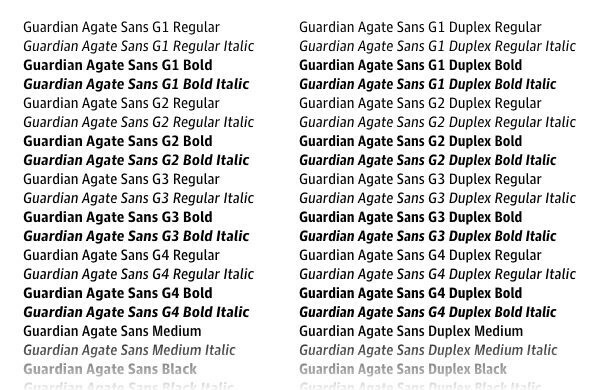 See the example of a field guide below. A user interview is something in between interrogation and a friendly chat over brunch. The tone and the setting shouldn’t be too official — a comfortable conference room in your office should be enough, unless, of course, you’re doing a street interview. Some interviews are held in the users’ own homes or offices. Skype interviews are convenient by nature — just remember to ask users to check their connection or move to a different location. Introduce yourself and give a quick (or long, if a person has questions) rundown of the interview. Tell about the work you’re doing, why it’s important, and why you think they might be able to help you. And of course, ask if they don’t mind that the interview will be recorded — they won’t, but it’s polite to ask. Ideally, you’re not supposed to make notes; that’s what transcripts of audio recordings are for. Active listening not only promotes better understanding but also make users feel important and heard. Be open about the fact that you don’t know everything and are actively looking for answers in their words. It’s not an examination after all. And, be sure they know that all their responses are valid. There are two types of data you can gather during user interviews: observed and reported. Reported data is obtained by explicitly asking users. Observed data comes from noticing user behavior that they’re unaware of themselves. Even if you don’t have a product or a prototype yet, you can ask users to show how they currently solve the problem: If it’s an Excel spreadsheet, what tabs they’ve created; if they’re using a competing app, how it works for them. You will most likely notice that they say one thing but act completely differently. You can carefully ask follow-up questions to uncover why they’ve done something, without judging or teaching the better way. Master probing/follow-up questions. These questions cannot be planned and require some finesse. Use prepared phrases such as “What eventually happened?”, “Was this what you expected?”, or “Can you think of an example?” The simplest probing technique is staying silent. When an interviewee is hanging in the middle of the thought, wait until they finish it and provide more details. Use the 5 Whys principle. If a person is struggling to voice their thoughts, reach the root of the problem by asking five consecutive “why” questions. Do you use a movie subscription service? Why do you use Netflix? It has tons of films and series. Why do you like watching films and series on Netflix? They’re HD and I pay only $10 a month. Why do you think $10 is a reasonable price? Because I can’t afford renting movies every day but I can afford 10 bucks every month. Here, not only were we able to figure out that a user prefers Netflix to other subscription services — we’ve also established that they agree to pay a sum of money that will overall be less than the cumulative sum for all services. Are you satisfied? — How satisfied or dissatisfied are you with this process? Did it act as you expected? — What would (did) you expect to happen when you … ? Does that work for you? — What do you think about that? Have you done this before? — What kinds of questions or difficulties have you had when doing this in the past? Did you see that? — What just happened? What was that? Do you like this? — What would you most want to change about … ? Prepare for future interviews. Remember to ask users if they don’t mind meeting for a couple more sessions, which are usually held for free. If you’ve managed to arouse a bit of curiosity in them, they will gladly review the next installment of your product and see how their words impacted its development. As we already mentioned, it’s recommended to conduct the minimum of five interviews. Another sign you’ve gathered enough info is when you stop learning new things. If you’ve reached that point, congratulations. Now, let’s learn to store information and analyze what we’ve learned. A topline report is a conclusion to fieldwork, its first deliverable. Suggested by Steve Portigal in Interviewing Users, this high-level document keeps your early impressions, notes, interesting patterns, and correlations. It’s created as if, after each interview, you sat at your desk and dumped all your thoughts onto a piece of paper. A topline report doesn’t contain any data yet. You start with reviewing recordings, transcripts, videos, screenshots, or any other documents. As you start to notice patterns and identify interesting areas, you may write them down. You can also make bold assumptions about users even if you don’t currently have data to prove them. Then, you present these observations to your team. It’s important to tell your colleagues that these are just surface findings and they shouldn’t rush for implementation. Upon reviewing the report, team members are encouraged to lead conversations and formulate a vision of a user before the next step. Research is best done in groups. Handing the transcript copies to all team members and waiting for innovative ideas may be the easiest but not the most productive thing to do. Besides transcripts, there are always written notes, mental observations, maybe even screenshots, screen recordings, or videos. How to effectively keep all that data to then share with a team? 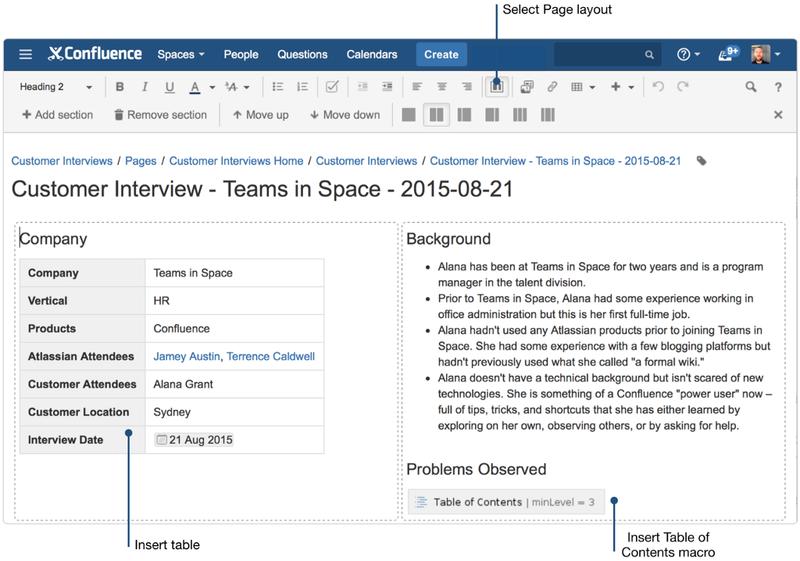 One of the most popular collaboration tools is Confluence. 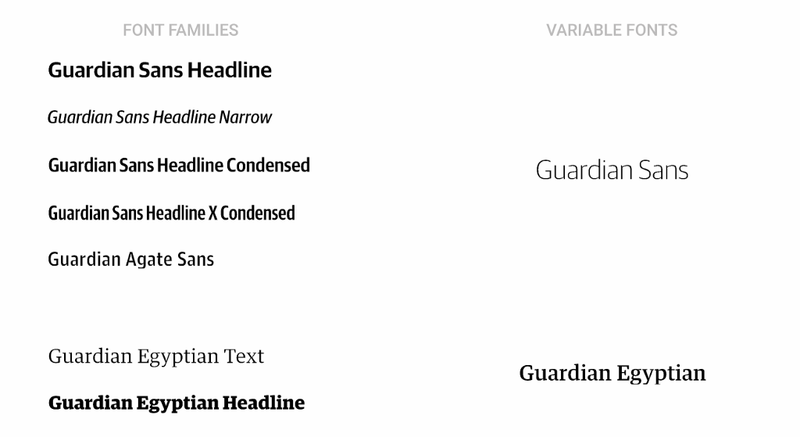 It allows you to create documents using different templates, layouts, and styles. Create a page about each interview participant. Give your team members the overall context by describing a user’s occupation, company, and relationship to your product (prospective customer, past user, a long-time client). Don’t forget about use cases, problems uncovered during an interview, and other takeaways. Add tags, labels, direct links to attendees, upload recordings, transcripts and more. In the section about observed problems, remember to include quotes with participants’ direct words. 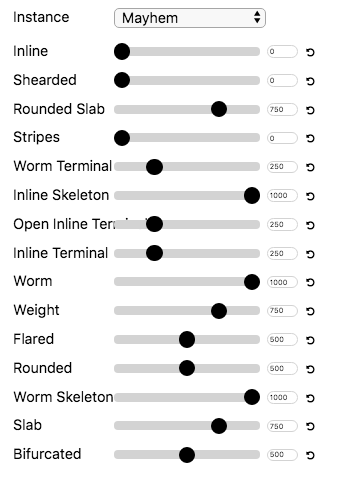 There’s also a simple yet useful method called The Rainbow Spreadsheet, created by the Google Search UX researcher Tomer Sharon. 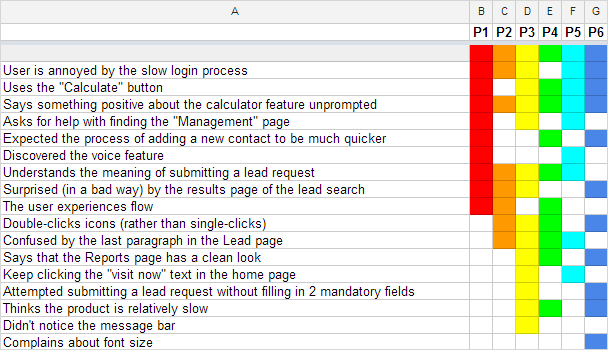 Using The Rainbow Spreadsheet requires some preparation: First, you have to learn to use it before holding an interview, and second — you must schedule 45-minute breaks between the interviews to gather your thoughts. In the spreadsheet, you collect details of your participants including their age, occupation, company, etc. Then, you fill in the sheet with predetermined observations, that is behaviors you expect a user to demonstrate: “Switched to the History tab when asked to view past payments.” There, you also collect your metrics. Then, during an interview, a researcher or an observer makes changes to the document depending on a participant’s successful actions. As this method is meant to be used live or with recordings, it won’t be helpful for field studies or when documenting unexpected observations. However, it’s highly customizable: You can add as many sheets as you like, use it during or after an interview and with any team size. After the team is introduced to the high-level information, engage them in data processing. Have each person carefully go through transcripts, making notes, noticing patterns, or even offering first solutions. Then, have them present each interview as a case study or a user story. As we have explained in our functional and non-functional requirements article, a user story is how a user would describe a feature. Write the highlights of presentations along with user stories on separate sticky notes and stick them onto the board. As you go through all interviews and gather tons of sticky notes, rearrange them by patterns: user personas, features, opportunities, etc. As for alloting time, be prepared to allocate a week or so for analysis, similar to the Design Sprint. Skimming through interview transcripts that usually occupy a few dozen pages should take a few hours, and then assign an hour for each interview presentation. During those analysis sessions, you should end up with your main research deliverable — Presentation of Findings. The Presentation of Findings that you managed to conclude has to be, well, presented. What is the best way to do this? Regular presentations. Stakeholders best speak the language of presentations and often, it’s our best tool to communicate what we’ve found. However, no presentation will impress people unless it has examples, direct quotes, user stories, or even videos to engage the audience in the discussion. It’s best combined with some of the other methods listed below. Personas. This is a fast and effective way to make stakeholders relate to the user. 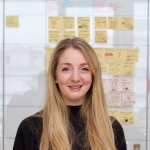 They are useful for telling user stories and justifying solutions (“Jane doesn’t have time to manually check her colleagues’ calendars to schedule a meeting”). Personas are not supposed to be the exact people you interviewed during research but you’re welcome to use quotes and exact use cases from them. User journey maps. Explained in our UX vs. UI article, a user journey illustrates the sequence of actions taken by a person when using the product. It’s created on the basis of customer needs, wants, requirements, and problems, and thus perfectly illustrates how data from an interview can help create the structure of the product. Storyboards. This method uses storytelling as an effective tool to illustrate the problem (or solution) in a fun and engaging way. It uses photos, drawn pictures, graphic design elements, or even sounds and gifs to share failed or successful experiences and draw an emotional response from the audience. Mini-museums. When the volume of gathered data is overwhelming and you can’t seem to cram everything you know into one presentation, consider creating a mini-museum of your findings. Facebook does that and it seems to be the most fascinating sharing method. Gather the whole company in a room and allow them to interact with data. While many employees don’t need to learn as much as you do about customers, they might feel more inspired, get some of their questions answered, and collaborate in discussions in a less official setting than, let’s say a presentation. Interactive workshops. Even when people are praising your work and have enjoyed the presentation, they won’t necessarily put all this new knowledge to work. To make stakeholders feel responsible for bringing findings to life, consider workshops. Workshops are harder to organize, they take more time and effort on your part, but when done right, it can shift the whole attitude towards research and the actions that follow. Start with simple brainstorm games and continue onto sketches, role-playing, and more. Make sure to read our article about conducting effective product development workshops, if you’re interested. Less is more. Employ a minimum number of people for interviews and hold repeated sessions with them to find deeper, truer, and more valuable insights. Stay persistent with stakeholders. The quality of a product is directly influenced by the quality of interviews, so stand your ground when sharing this value with people interested in the result. Master the art of asking questions. Recognize that you’re more interested in people’s answers as they are and learn to overcome any block with psychology tricks, smart conversation techniques, and thorough planning. Share knowledge. There’s no use in knowing your client if only one small group of people holds this knowledge. 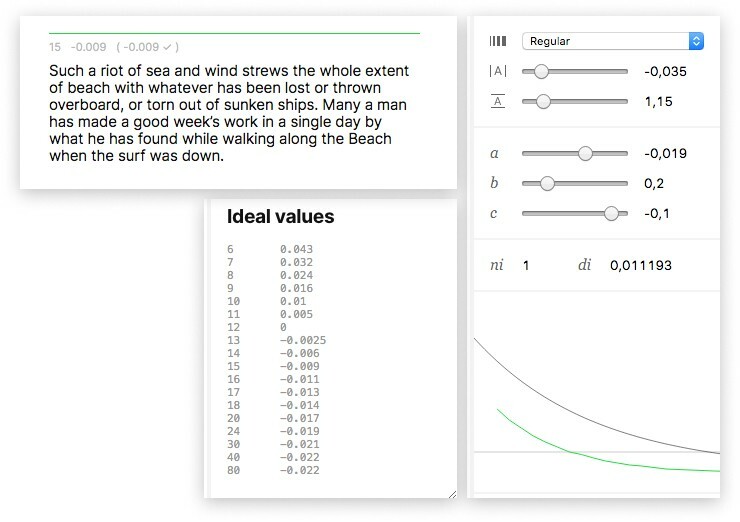 Show your findings to anyone who may be interested in the final user, either for information or motivation. How to Conduct User Interviews for UX Research and Product Development was originally published in UX Planet on Medium, where people are continuing the conversation by highlighting and responding to this story. This was during a Winter school I attended on UX Design when all the attendees were asked to solve a real-world crisis using the methods they were teaching us. We were divided in the team of 4. My team had Mrudhvika a back-end developer, Ritwick the engineering fresher and Rajesh a product manager. 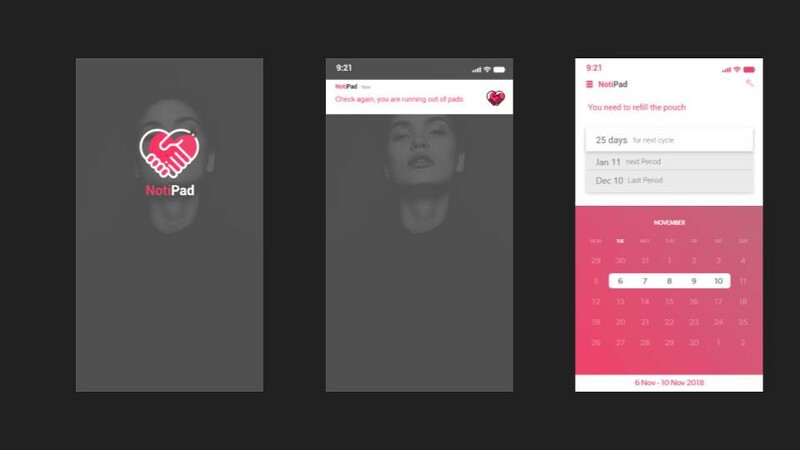 We all had some experience in designing pretty screens for apps and websites but this was something new and that got us all excited. Getting down to the task we started listing all the problems we faced in our everyday lives. Our discussions varied from the tiring daily commute of the metro that Rajesh faced to the strict attendance policy I and Ritwick have in our colleges. Work more on the problem, Even if it means devoting a huge amount of time to it. Once you know the exact problem the solutions will come naturally. The first big task was to decide on a problem area, to begin with. Just as we were scratching our brains to find the perfect problem, Mrudhvika started telling us about the problems she faces during menstruation and how she has to carry a tampon. This interested us all because we knew so little about periods. And Menstruation being a taboo issue there’s not much work being done in those directions. For starters, Here is a Manly Guide to Menstruation. This beautifully written piece by Mike LaVigne explains it all. 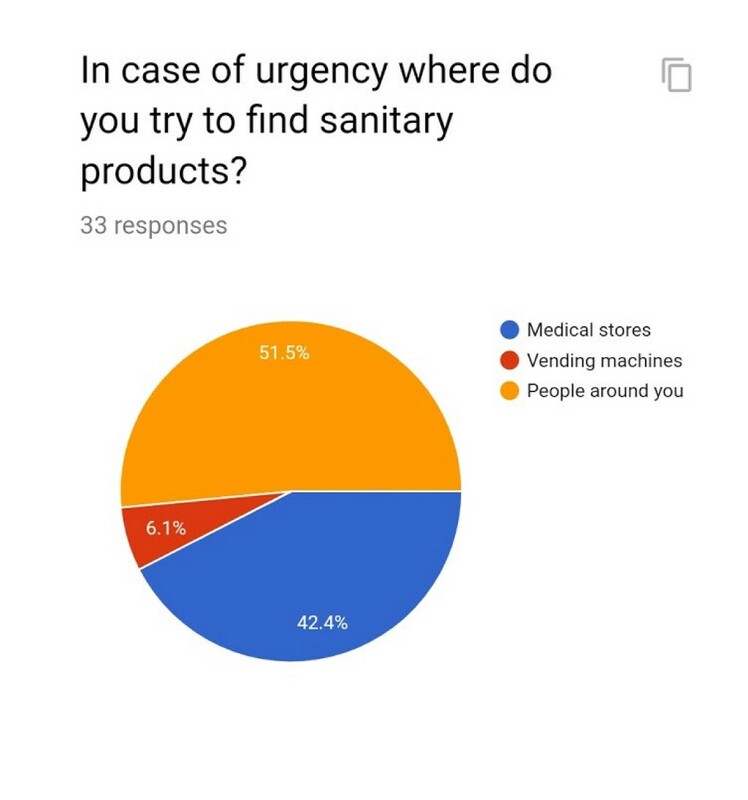 We started our research with the ‘unavailability of tampons’ as an issue in hand. Now was the time to get the users involved and know more about their problems, the ways they are dealing with it. This was a challenge for us because menstruation being a taboo, women weren’t so open in talking to us about their issues. So we had to come up with ways of gathering the data. We wanted to gather the data of a varied user base. Mrudhvika, being the only girl in the group went ahead and did the user interviews. We also prepared a questionnaire and floated a google form in our network. We gathered the data from the users of the age of 12 to 55. The menstrual cycle consists of 28–35 days. The flow lasts for about 3–5 days at the beginning of the cycle. Women are generally aware of these dates and hence they carry a sanitary pad. But often due to stress and other factors, irregular periods are common. An irregular period is the one which occurs before or after the expected days of the flow. 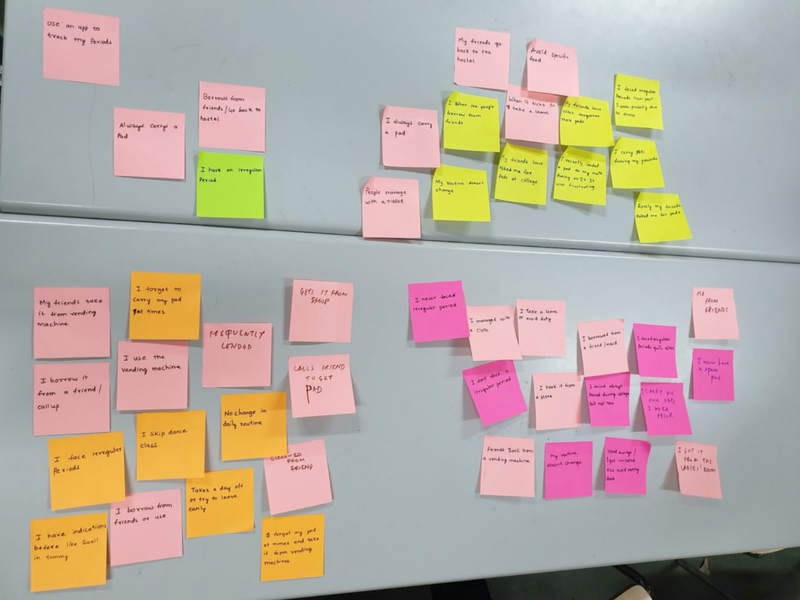 Based on the data collected by user interviews about how do they deal with the problems related to irregular periods we did affinity mapping. We sorted them according to their age groups. This helped us realize the common links of how women from different age groups approach the problem and how do they go about solving it. We clubbed the common links together and realized that a lot of them tackled the problem of irregular periods by borrowing a tampon from their friends. 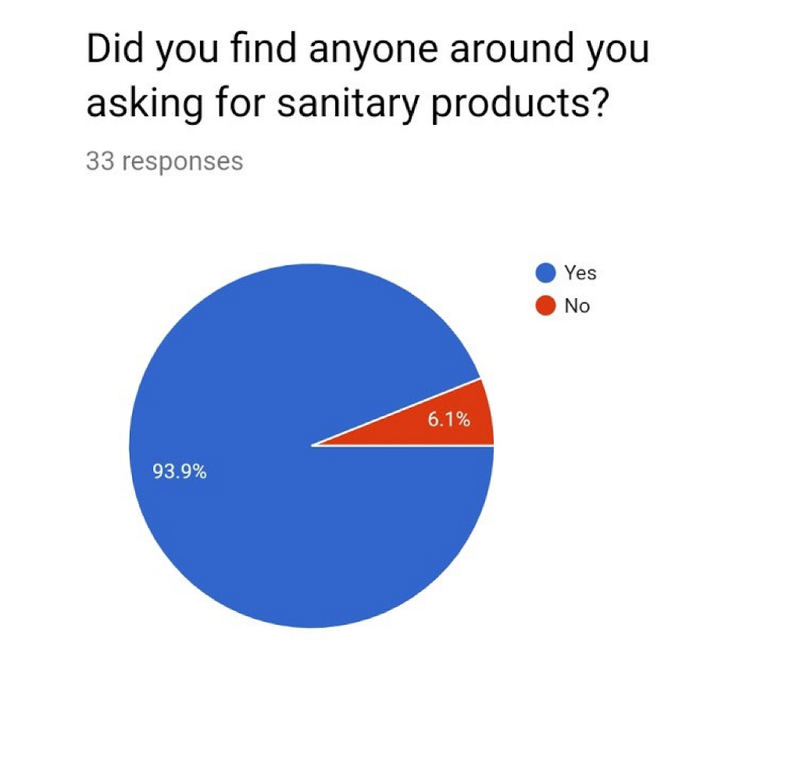 The results from the google form that we floated also indicated the same. According to a survey conducted by World Health Organisation (WHO) as many as 67 percent women have had to borrow a sanitary essential from a friend, colleague or a family member. A lot of women always asked for a sanitary product at the time of need. So instead of redefining the wheel, We just decided to make this experience a better one. Hence we began identifying the pain points in the existing methods. Also, we decided to narrow our user base down from to the age of 18–30 years old. Because we had a lot of data gathered around them and hence we knew them better. To explore the vertical, We dived further to know more about the specifics of the problem. I always text my friend, If I want to ask her an extra. It’s so embarrassing. A majority of the users we interviewed had to say the same thing. They were always hesitated to ask for a sanitary pad. I have to be aware of my surroundings, It’s always difficult in front of boys. We decided to explore the roots of this problem. My team then gathered around the table and we started discussing, shooting random ideas and hearing the user interview tapes over and over again understanding the users, sensing their tone. Imagine a world where no Men exists at all, A world full of women. Will the women hesitate to ask for a tampon? This gave us a lead that one of the major problems of the discomfort is the lack of knowledge among the men about menstruation. #1. So ignorance amongst Men was an issue. 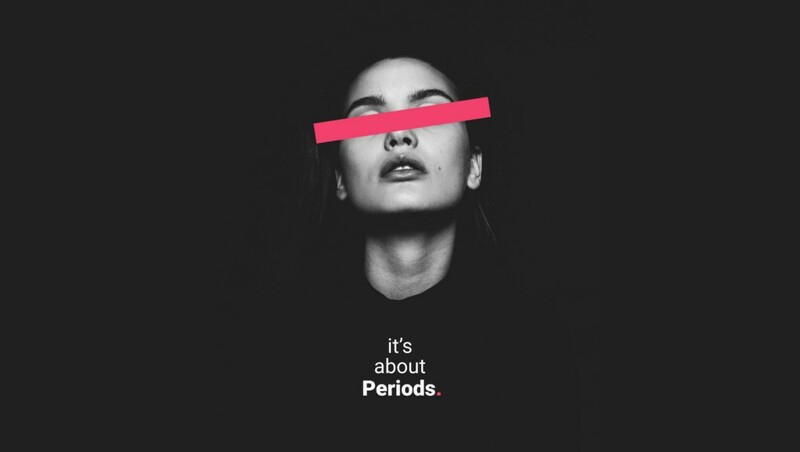 Let’s take a step back, If the problem is unavailability of a tampon during irregular periods, Why don’t we make the users carry a pad every day? #2. We could cultivate a habit amongst the users to carry a pad every day. Now, knowing exactly what to solve we again started brain-storming finding ways to tackle the pain-points. We restricted ourselves from thinking about apps and websites at first. All of us coming from an engineering background always thought more of the complex solutions, of how we could make an app or a portal? But sometimes the solution is much simpler and trivial. We just have to look for it. To tackle the ignorance amongst the men we thought of various ways that could help us solve the issue. Use of a badge on the bag. As our user base was from 18–30 years of age most of them were either college students or working professionals. We designed a badge for the bag. If the user is carrying a sanitary pad with her, she will put the badge. This would act as a signifier for other women in need of tampons. 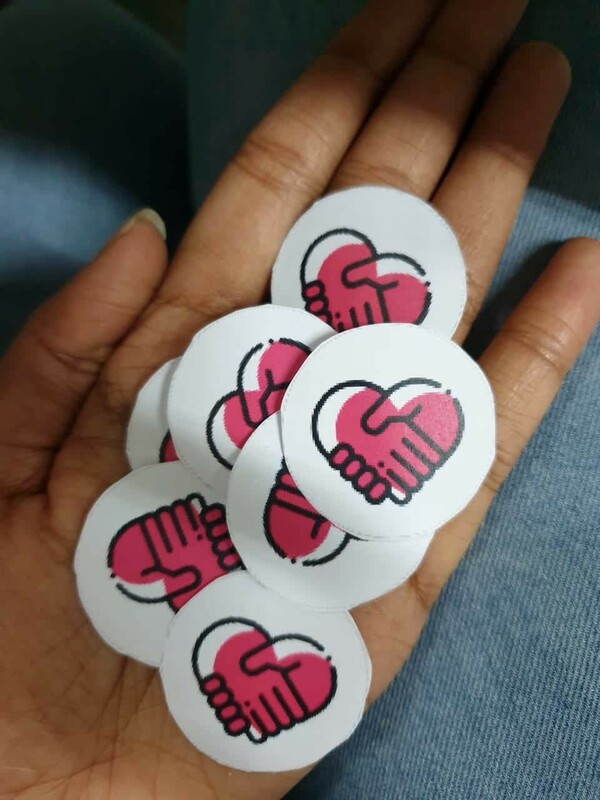 The badges would create a buzz amongst the men and when they see every woman putting it up, They would get used to the fact and this will curb the ignorance to some extent. The badge would also remind her to carry a tampon. A special compartment in the bag. We could have a special compartment in the bag for the sanitary pad. Using suitable sensors we could detect whether the pad is present or not. If the compartment is empty the user would be alerted using a mobile notification. Women already use various apps to keep a track of their cycle, We could easily integrate this feature within them. We thought of this App concept. It’s basically Uber for tampons. If the user is in need of a tampon she will get to know the people near here carrying an extra pad. She could then request a pad to the nearby user. The women on delivering it get karma points. All the projects I worked on earlier, was me having a problem and then building a solution around it. This was the first time I was designing something that I would never use. 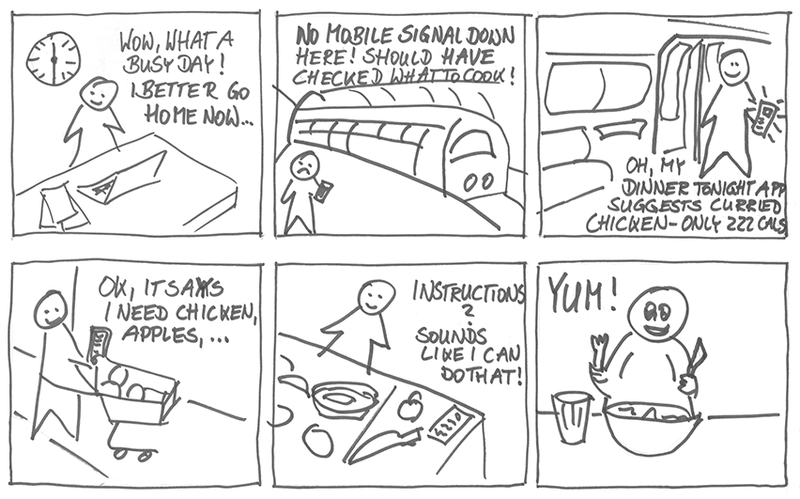 This taught me a great deal about not making assumptions and validating each step with the user. I still remember Mrudhvika calling me at 3 a.m and blabbering about this one woman she met facing the same problem. We were obsessed with this problem. And each user interaction leading to something meaningful would excite us all. Initially, We went wrong with the form and asked some questions which had leading answers and then we had to compensate by working more hard on the user interviews. This article by Emily on How To Ask User Experience Questions is a gem. This happened a lot during brainstorming sessions we would get all enthusiastic shooting ideas, building on each other’s thoughts, modifying every bit. We would hit a dead-end. Then backing up 10 steps and zooming out helped us realize what is the actual problem that we are trying to solve. And that would surprisingly get us back on track. 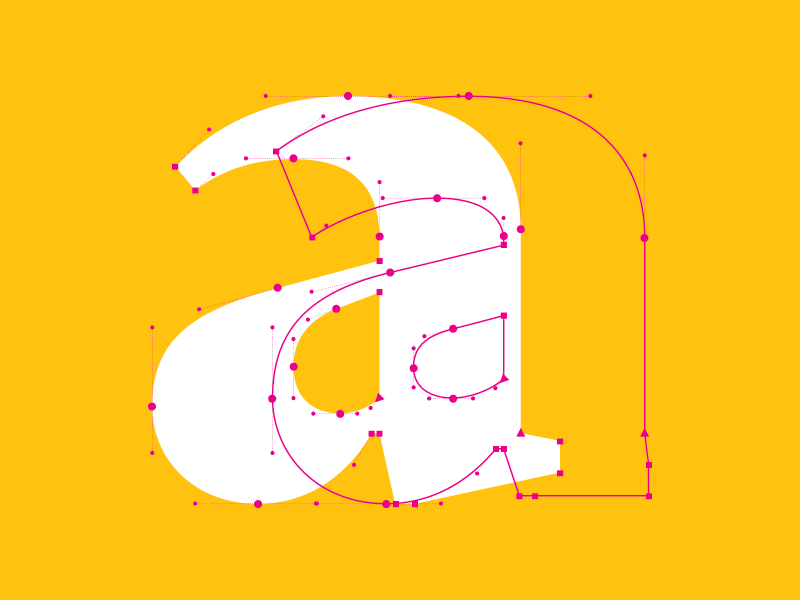 Thanks for the read 😊 If you enjoyed reading, Don’t forget to clap👏 You can get in touch with me at [email protected] or follow me on Behance, Instagram, Twitter. Improving the Menstrual experience using Design Thinking was originally published in UX Planet on Medium, where people are continuing the conversation by highlighting and responding to this story. 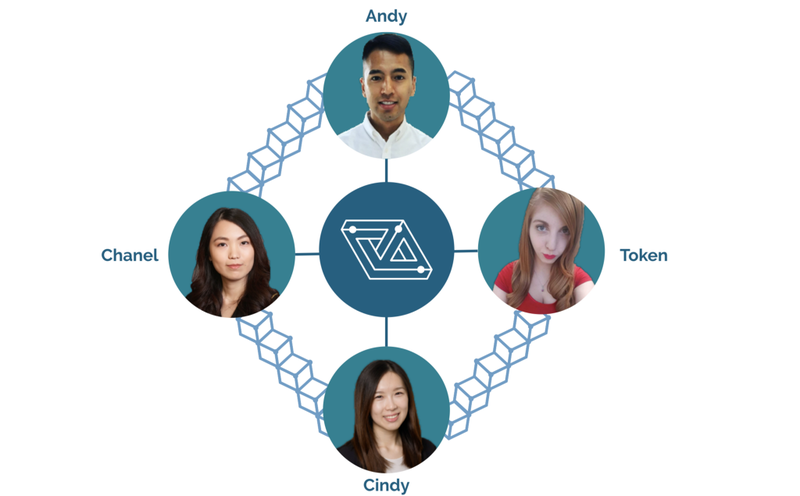 To become the marketing and training apparatus for the local blockchain ecosystem — which has many small players — and put together a consortium. industry partners who would provide their input on the curriculum and provide hands-on projects for the students. Andy and I were the UX leads. Chanel and Token were the UI leads. 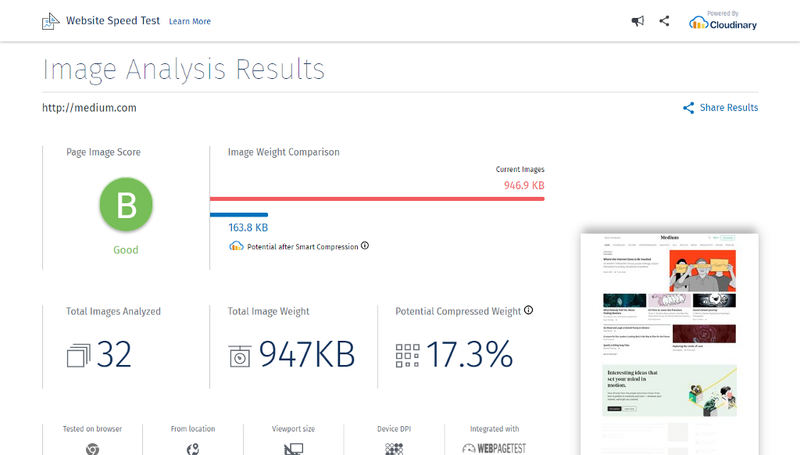 In the beginning, we ran into a chicken and egg problem because our client intended to charge each industry partner $800 per year to showcase their content on the Consortium website, but the website doesn’t have an established user base to justify the cost yet. We felt unsure about their business model and questioned whether a separate website was really necessary. Is our final prototype going to be a bunch of placeholders? In the midst of other challenges (complexity of the topic, stakeholders who have different objectives, and the tension surfacing between them for other reasons), we failed to ask if they had leads for the industry partners and whether they were open to offering a free service until they become more established. Finally, we were frank about our concerns, and they received the feedback well. 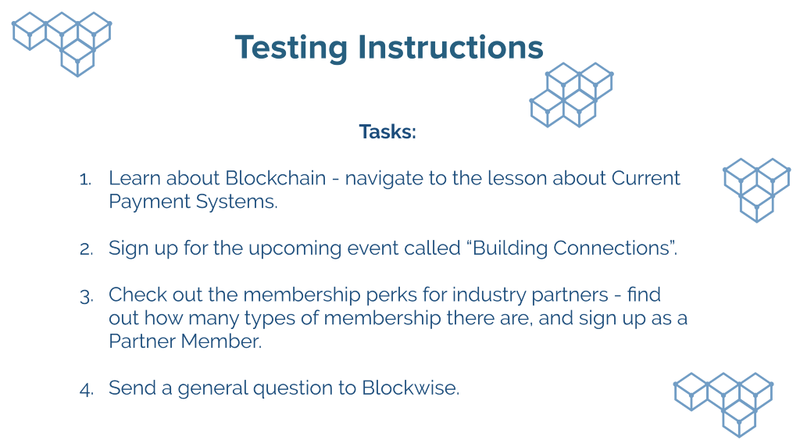 They informed us that 6–7 businesses will be signing up as their partners and they will not be charged since they are helping Blockwise build the site. They are also open to excluding the price tag from the website and having a separate discussion (ex. over the phone) with the partners instead. With this in mind, we dived into the design process: Research → Planning → Design → Prototyping → Testing. 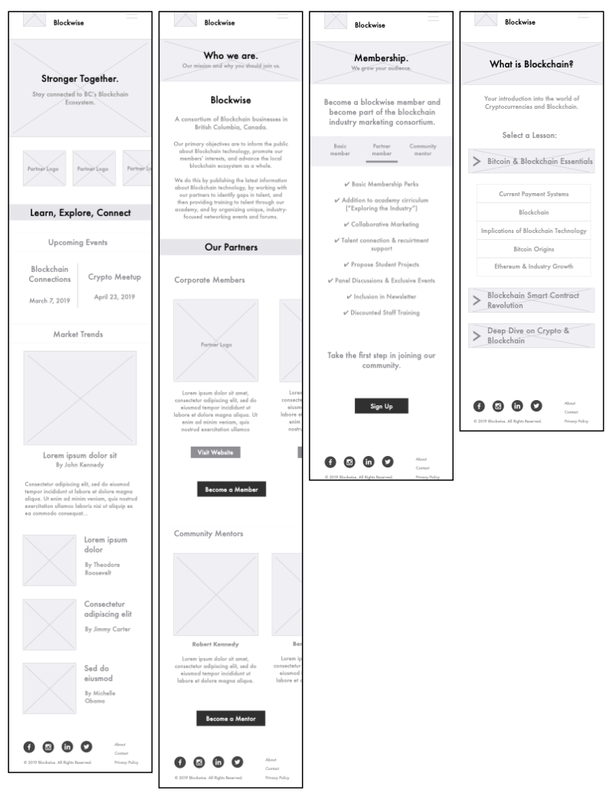 Since I was the UX designer for this project, this case study will focus on the UX perspective. 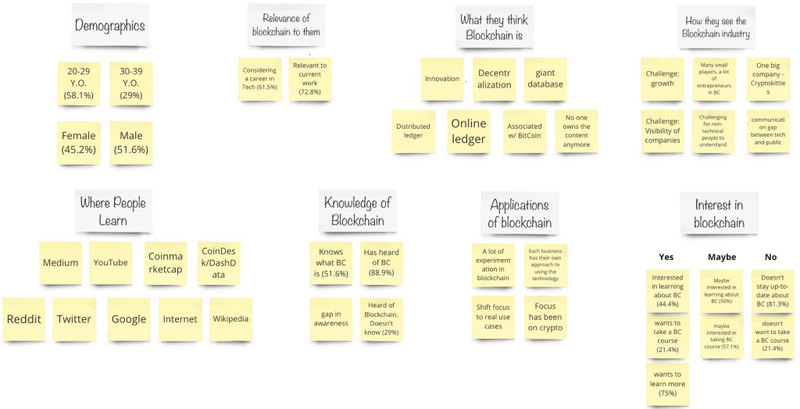 Concept: Blockchain comprises blocks that contain information with digital timestamps, kind of like a giant database. What makes it unique: The blockchain is a (mostly) public, anonymous, distributed ledger which means everyone has access to see what’s in it. It is immutable as it is very difficult to change the information once it is reported on the blockchain. Why it’s important: We rely on third-party intermediaries for many economic activities whether it is C2C, B2C, or B2B. For example, when consumers make online money transfers through PayPal, when real estate transactions involve agent’s commissions and closing costs, or when banks require audited financial statements for commercial loans. These middlemen enable trust between the buyer and seller, but this curated transparency comes at a cost. Transaction costs are directly charged to the consumer or passed down indirectly through higher prices and reduced efficiencies. Blockchain offers the possibility of reducing our dependence on intermediaries. Applications: Most of us have heard about bitcoin, but there are many use cases beyond cryptocurrencies — from supply chain management (ex. as a consumer, where does a product come from), to healthcare (ex. having a single source of truth for medical records), and identity solutions (ex. refugees or homeless who struggle to access the current financial system). In terms of membership — the EEA and the Chamber both actively recruit members, and they’re targeted to businesses in the industry. All four have events, ranging from local meetups to conferences. Academy means whether the alliance offers course material or programs for people to learn more about blockchain. The Blockchain Hub partnered with York University in Ontario, and the EEA partnered with ConsenSys Academy which offers online and in-person courses. As for resources, each of these sites offers different kinds, as noted above. 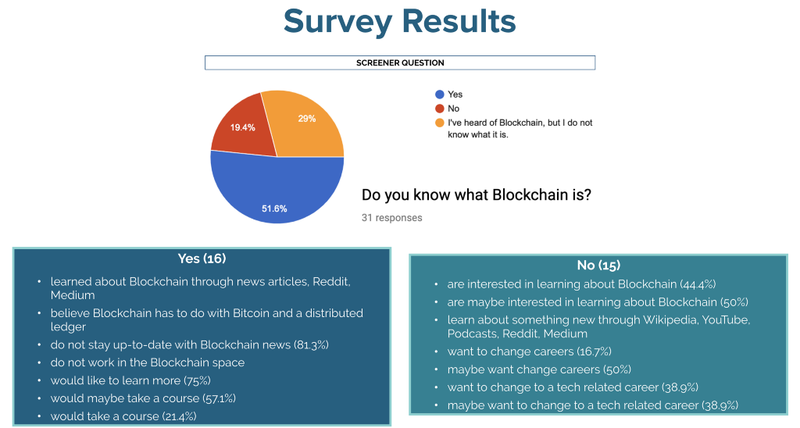 The objective of our survey is to get a gauge of people’s knowledge and level of interest in blockchain. We deployed the survey on slack and relevant subreddits. GROWTH and VISIBILITY of companies is another issue because people are experimenting and applying this technology in different ways. There is a lot of experimentation because everyone wants to create their own currency and apps, while the core technology is the same. There are a lot of small players and entrepreneurs, but most people only know about one big company, Cryptokitties, which is a game where you collect cats built on the Ethereum blockchain. Very neat idea, but not exactly blockchain at its potential. COMMUNICATION GAP between technology folks and the general public. It’s difficult for blockchain to gain traction because there aren’t concrete use cases that non-technical people can understand. We organized the rest of the research data into an affinity diagram. To create an affinity diagram, we write one piece of information on a sticky note, group them into categories, and the objective is to find relationships between these data points. A place for businesses to say what they are doing. A place to communicate what the industry needs. The other data points from our research informed us who our persona should be. Disclaimer: We don’t have a persona for the corporate user because we didn’t have the opportunity to speak with them within the timeframe of the project. 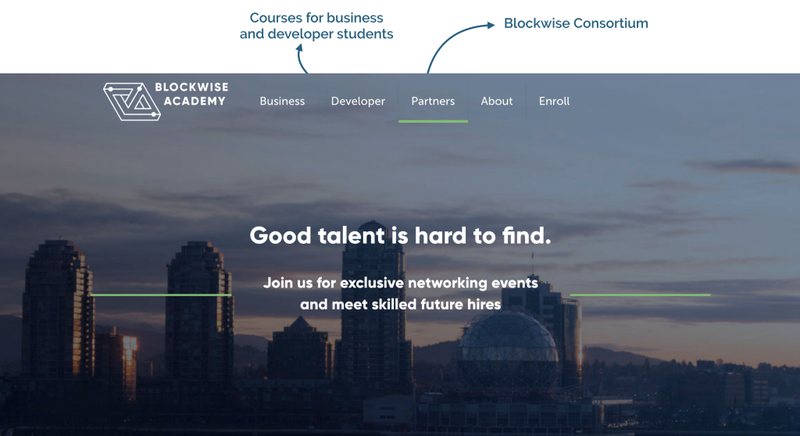 They were Blockwise’s leads and our client didn’t feel comfortable passing on their contact details. We cold-emailed 15 blockchain companies but didn’t hear back. As we didn’t have any data points, we didn’t want to imagine a persona. We opted to focus on the general public as our primary user for now. 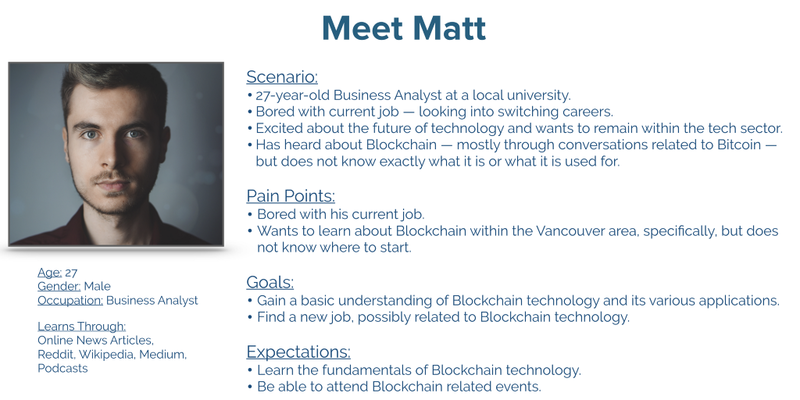 Now that we know a bit about Matt, we decided on features that would work for him and achieve Blockwise’s business goals. 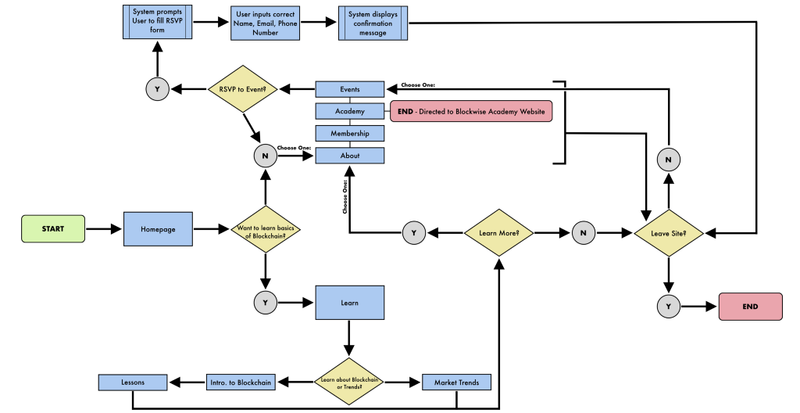 To visualize how these features might look on the website, I created a sitemap. The image below is our final sitemap. Under membership, the 3 tiers of membership are shown (Basic member, Partner member, and Community mentor). This page will show the benefits of each tier, and the user can apply to become part of the consortium here. Once we had the Features List and Sitemap, Andy created a user flow. We use user flows to focus on what the user needs to accomplish and how to deliver that in the most effective manner possible. This should lead to better user experiences as it places the user at the heart of the design process. Just before moving on to wireframing, we crafted testing tasks so that we can get feedback as we go. All 3 happened simultaneously but presented under different subheadings for the purposes of the case study. The site needs to be able to adapt to different devices. For the purposes of the project, we considered how the content would look on the desktop and the mobile environment (iPhone X). 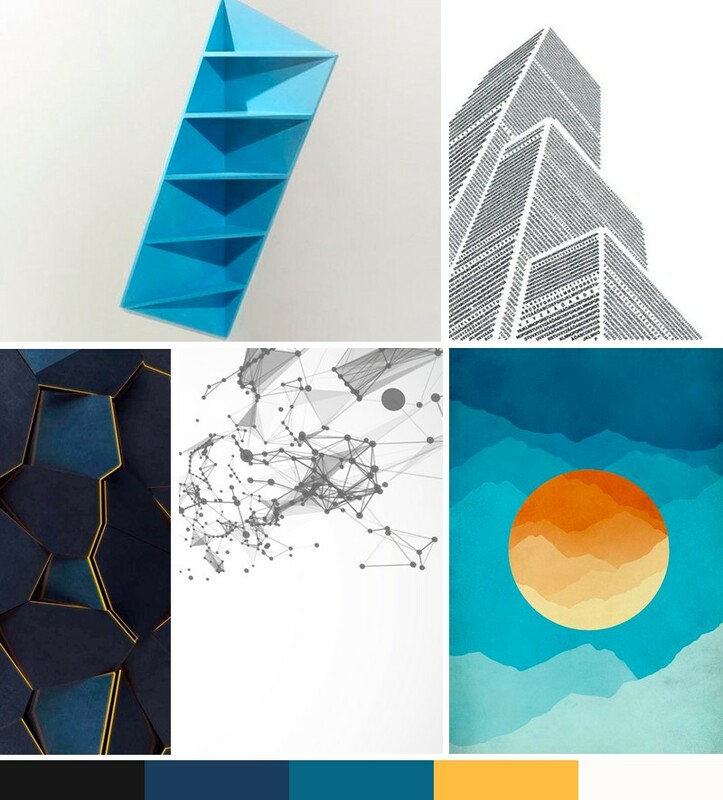 There’s limited space on a phone screen, so we moved some of the content around and made them more stacked. The header and dropdown menu options were not intuitive and required a makeover. Under Learn, we renamed the dropdown options to be more specific. Before, the Get Involved CTA just linked back to the (i) membership page, and (ii) Academy page. It was redundant. We removed this and simplified to go directly to the Membership page. 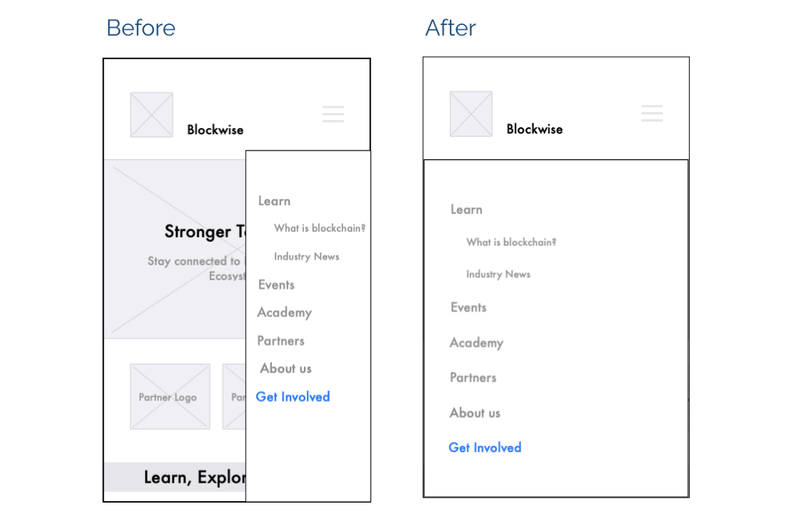 Rather than having a separate Partners page, we combined the information on the About page so users can learn about Blockwise and Blockwise’s partners all at once. 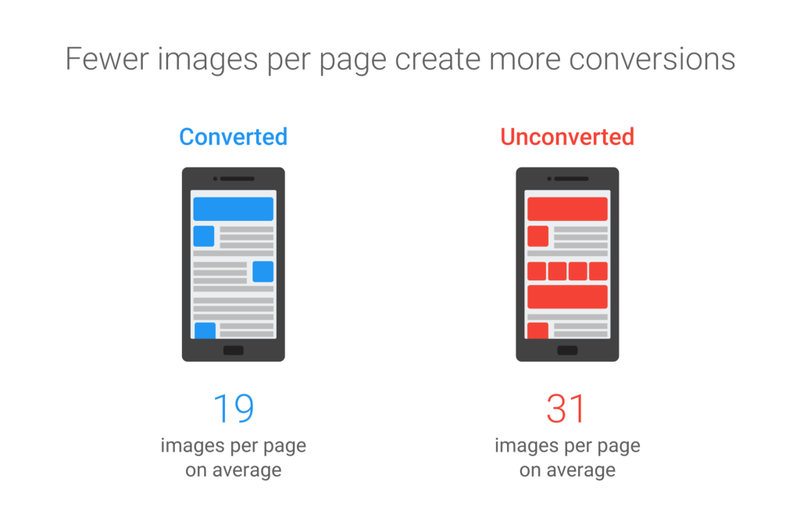 The feedback from desktop were reflected on the mobile version. The only other change on mobile is the size of the hamburger menu. It was long and skinny, but this limited the real estate for menu options with longer text. 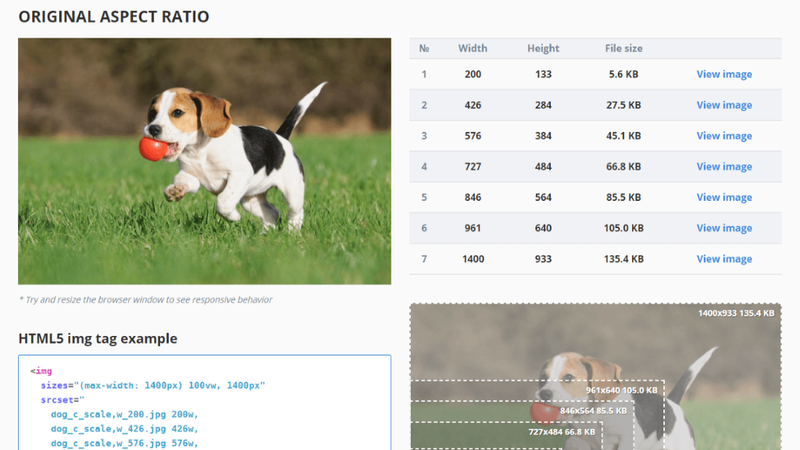 Having the menu across the screen allows the user to focus on the menu options. Our final prototype was created using InVision. In three weeks, we delivered a website that connects British Columbia’s blockchain community together. We were able to successfully meet our business, user, and project goals. Moreover, our project was selected for development in-house at Red Academy again! 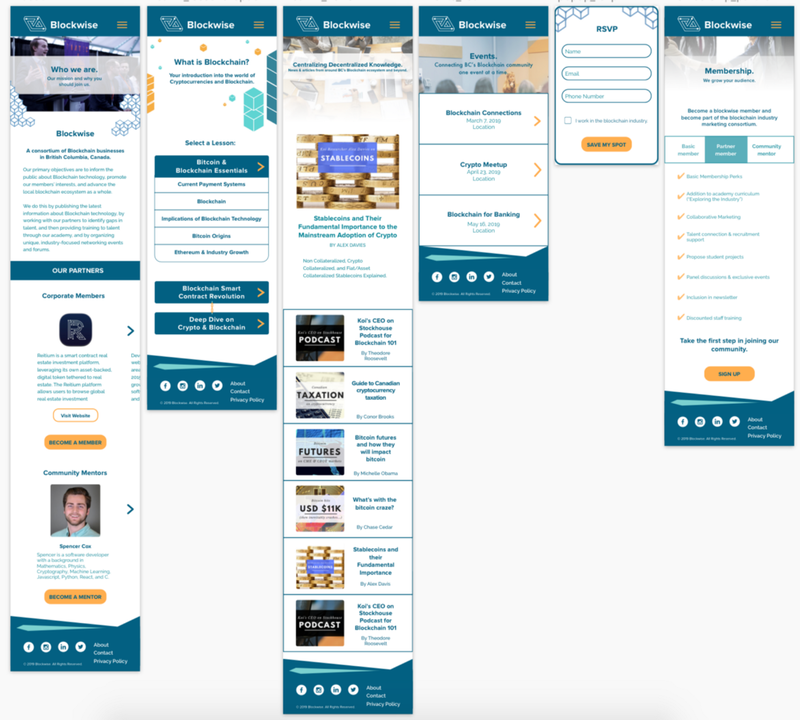 Our client was happy with the final product and is considering combining this Consortium website with his current Academy website in the future. Thanks for reading! If you liked it, please clap or leave a comment. All feedback is appreciated! Connecting the blockchain ecosystem — a UX case study was originally published in UX Planet on Medium, where people are continuing the conversation by highlighting and responding to this story. According to “dictionary.com”, Balance is an even distribution of weight enabling someone or something to remain upright and steady. Great qualifications of team members can be matched together like pieces of a puzzle. Awareness and Focus on each other’s abilities empowers the team. Let’s review some qualities of team members and see how they can balance each other. 1. Rational and Fast decision makers: Fast decision making in critical situation is a quality for natural leaders. Most of the time they are very rational. They decide and act quickly and will carefully fix it later if needed. Systems are very dependent to these kinds of leaders. They are backbone of the team. 2. Structured people: They are great at closure and completion, enjoy routine and predictability so they are perfect for roles like programming and fit in agile systems. 3. Detail oriented and realistic team members: Best for implementing generated ideas by other types. Give them the big picture they will decorate your three with leaves. Perfect for programming, project management and QA roles. They are not afraid of repetition. 4. Future oriented people: They plan for future and might seem unrealistic, irrational, theory oriented and philosophers but they open new doors, still fit in agile environment. They need trust and support. 5. Unstructured creatives: Curious, creative, love to gather information, independent, getting bored fast, indecisive, open-minded, deal with changes easily, have lots of ideas tend to redo them for improvement but get into a loop, great at starting ideas but need help for finishing their started projects. These people are innovative and creatives. They don’t fit in agile system. Time is limitation for them. Providing details is not their job. They generate unique business ideas. 6. Big-picture viewers: They are great planners and system analyzers so can predict the future in some content, creative, seem absent-minded and slow because of deep information processing, they gain access to deep web of data over time so patience will pay off. These types of people structure the receiving data in their own way, so they don’t follow common instructions and therefore sometimes come up with very creative solutions and plans. They are great at understanding systems at high level and able to define processes well. Could be very supportive. They need flexibility. Paying attention to how different people complete each other’s abilities brings balance to the team. Structured team members, detail-oriented and fast decision makers can implement unstructured creative type’s ideas and bring their great ideas into reality. Structured ones need to believe unstructured creatives and understand their need for flexibility. Instead, unstructured ones may adapt themselves more to deadlines in order to achieve their goals. Believing in future-oriented people will guarantee having an advancement plan and a promising road-map. They need to be supported by logical decision makers. Unstructured creatives support fast decision makers by encouraging them to see the problem from different angles and will help them to adapt the change faster or even encourage them for some risk-taking. If team members understand their qualities and abilities and believe in other’s different abilities and qualities, they will naturally support each other and bring a balance to the system which leads to a great success. Balance in IT teams was originally published in UX Planet on Medium, where people are continuing the conversation by highlighting and responding to this story. Are you an indie hacker who wants to deliver the right product and features to your users? I’m learning U X design. Let’s collaborate! You can DM me at twitter.com/juniusfree. While looking for a new case study, I saw Zenjournal on Twitter. I reached out to Shaomeng Zhang, the maker of the app. I ask him if it’s okay to create a UX case study for his app. He agreed. And not only that, he provided me with great insights! 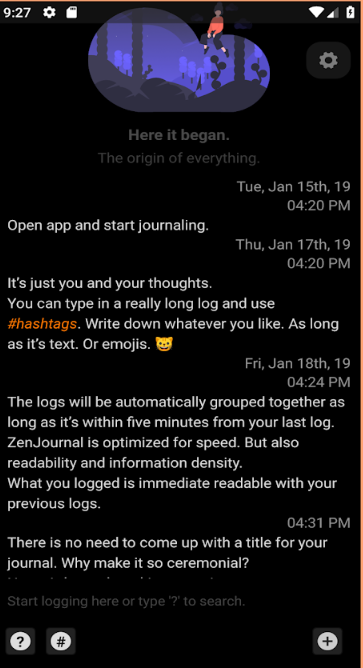 Zenjournal is “Lightning fast, zero-stress journaling reimagined”. I reached out to Shaomeng Zhang because I want to see if I can add value to this app. I often use a journal to capture and organize my ideas. Like in my first case study, I use the jobs-to-be-done theory as a “lens” on how to study the needs of the users. To collect the data, Shaomeng Zhang provided me with a lot of insight. I also listen to interviews of “creators” and look into competitors and related apps. This app has a lot of potential users and use cases. One of them is the group of “creators who want to capture their idea, insight or inspiration on the go”. A creator can be an entrepreneur who wants to capture an insight into a business problem while in a meeting. Or it can be a musician who got an idea for a new tune while driving. It can be an illustrator who wants to capture a landscape that can be referred to later for his next project. To achieve the job of capturing an idea on the go, a creator has several alternatives. For an entrepreneur, he may record his insight on a journal. A sounds recorder can capture the new tunes of a musician. An illustrator can use photography to capture inspirations while traveling. Other creators use an app-based journal, social media, or email. These steps are applicable regardless of the platform. For example, when the musician got a spark of an idea while driving, he will try to hold on to the idea while preparing his recorder. Then, he will sing the new tune to record the idea. To ensure that the tune is captured, he will try to replay the recording. He might try to add some context later to clarify the idea. 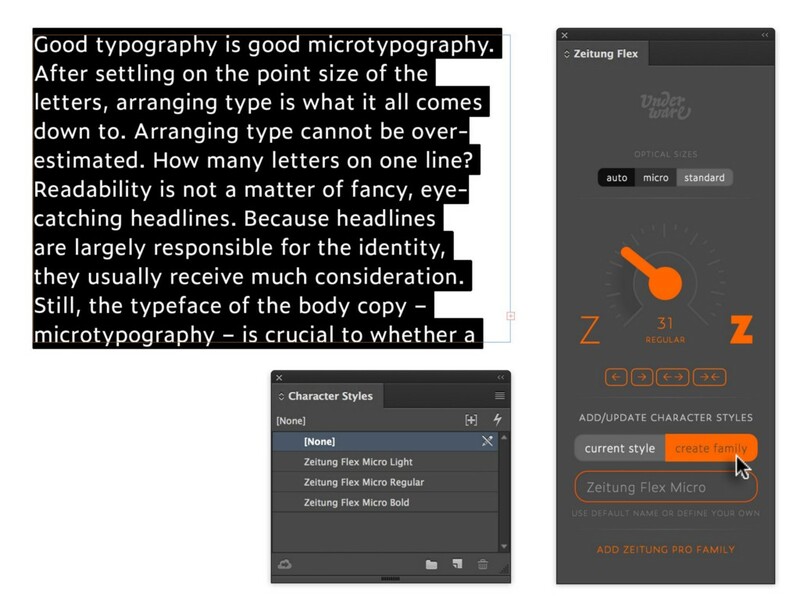 Zenjournal is already good when it comes to minimizing the time it takes to capture an idea. The app is very simple. Open it and start writing. You don’t have to stare on a big, blank screen. You don’t even need to add a title! To preserve that simplicity, the following features focused more on improving the accuracy of the captured idea. To help a creator recall the spark of an idea, a “spark” feature is added. This feature will generate random questions or prompts to help a creator recall his idea or generate a new one. To help a creator prepare the tools to use to capture the idea, the simplicity and speed of the app are preserved. The new UI still uses the clever idea of applying the “messaging app” interface to a journaling app. To help a creator capture an idea accurately, adding features for photography, video, and audio recording are suggested. These ensure that the creator can use the right tools for any type of idea. Having several tools in one app ensure that different ideas can be reviewed in one place. To help the user make sure that the idea is captured, a redesigned list view of the captured ideas makes the ideas more prominent and more readable. The app saves the data offline so there won’t be an issue with connectivity. 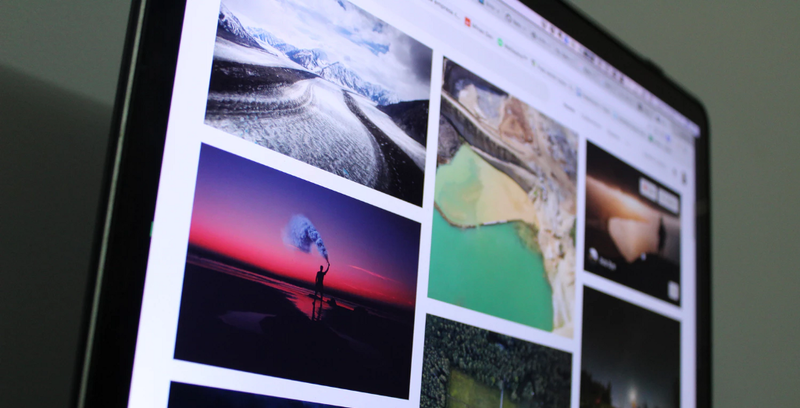 To help the user clarify an idea, the user can add a caption or note to a newly captured photo, video or audio. The original app has a tag feature which is maintained. Other use cases should be studied. There’s the market of people who journal for self-improvement (e.g. diary, reflection), task and project management, travel, recording memories, etc. Zenjournal should also focus on the job of “organizing, connecting, and making sense of the captured ideas”. For now, it only uses #hashtags. One ideal solution is implementing the organizing features in Google Photos (album and assistant) but applied to ideas. Or have an auto-generated list of “tags” on a separate page like a Spotify playlist. Working with Shaomeng Zhang as a “client” is a great experience. There’s still a lot to learn when working with others in terms of goal alignment, communication and getting good feedback. Early in the process, I focused on too many use cases. Focusing on one use case helped me manage the scope of the problem. But of course, as I wrote above, the other use cases should be studied too. Open for feedback and collaboration. You can leave your comment below or DM me on twitter. 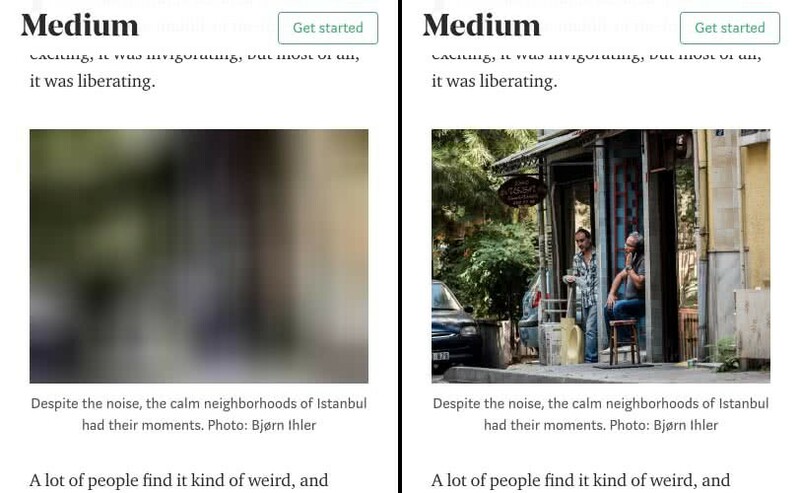 Zenjournal: capture your ideas in one place, on the go — a UX case study was originally published in UX Planet on Medium, where people are continuing the conversation by highlighting and responding to this story.